Director talks about his British comedy thriller THE DRUMMOND WILL which screens for FREE in Concord, N.C. There will be a FREE screening of the British comedy thriller “The Drummond Will” at 9 p.m. Friday, June 20 at the Davis Theatre, 65 Union St. S, Concord, N.C. The FREE screening takes places after the art walk in downtown Concord which runs from 6 p.m. to 9 p.m. June 20. Originally screened in Cabarrus County during the 2011 Modern Film Fest at the Gem Theatre in Kannapolis, N.C. “The Drummond Will” is a one of those rare gems that combines British comedy with a bit of mystery to make for a fun, lighthearted story. Even though the slaughter level is almost as high as the laughter. A collision between old and new, this black comedy is set in decaying rural England. It follows estranged brothers Marcus and Danny Drummond as they find themselves on a surprisingly dangerous undertaking to unravel the mystery surrounding their father’s unlikely wealth. Director Alan Butterworth co-wrote the script with Sam Forster, and the movie was shot in five weeks in the middle of winter. The surprising thing is though the movie was shot with new technology, using a Red One camera, Butterworth opted to shoot in black and white instead of color. “It was a simple short-hand to get what we were trying to do across. It instantly says old-fashioned in a way that few other things could have,” Butterworth said, during his original 2011 interview with Modern Film Fest. “The Drummond Will” tells the story of two city-boy brothers, one a charismatic optimist, the other a whining corporate sell-out, who return to the countryside for their father’s funeral. On checking out his decrepit estate the boys find one of their dad’s ancient friends hiding in a closet with a bag full money. Whilst they decide what to do the pensioner is left to suffocate in the closet, leaving them with a much bigger problem to deal with; tell the police, or leave the body in the home and pretend nothing happened (keeping the money in the process). This opens their world up to a series of bizarre incidents resulting in the village’s quirky population gently decreasing during their short stay. Butterworth said the plot may be offbeat, but it has the benefit of being different than a lot of movies being made. 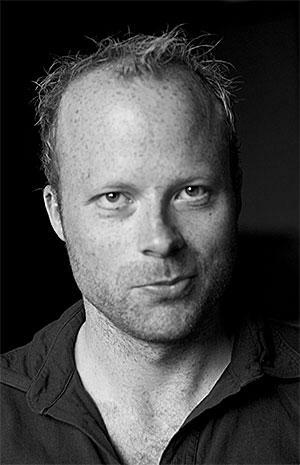 Butterworth said that a part of the writing process also included catering to one of its stars, Mark Oosterveen, who plays the brother, Marcus Drummond. The role of Marcus was easy to cast, but his brother, Danny Drummond, took a little more work to find and was finally filled by Phillip James. Butterworth said another big contribution to the script was working with co-writer Sam Forster. Butterworth had done several music videos and shorts prior to filming, “The Drummond Will,” but this was his first attempt at a feature film. Butterworth recently talked to Modern Film Fest about his experience on “The Drummond Will” and how he pursued making the movie. MFF: Where did you guys film the movie and how did that location influence the story? MFF: What were some of the surprises you had while making this movie? MFF: How would you describe your directing style and how did you have to adapt that for this particular film shoot? MFF: What was one of your best experiences from making the film and can you give me a good anecdote from one of your favorite days of shooting? MFF: What I loved about this movie was how dark the comedy was. Were you afraid that dark humor might not transfer on film and how did you make sure you were able to strike that balance? MFF: One of my favorite parts of the movie is when the one brother gets in a scuffle with a bum in the trailer. How diffiecult was that to shoot, especially to keep the crew from laughing through the take, because it is just a golden moment in the movie for me? MFF: Following up on that, what were some challenges of shooting that scene, since it looks like a gag you pretty much had to get on the first take? MFF: Any advice for filmmakers just getting started? MFF: Any chance of seeing the brothers come back for another story, or is, “The Drummond Will” the only story you really see them in?